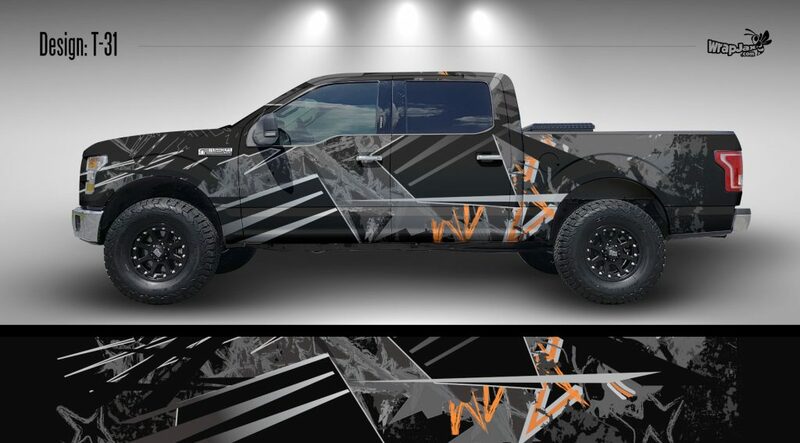 Our customizable series of Truck Wraps by WrapJax are a flexible, reliable and stylish way to wrap your truck. 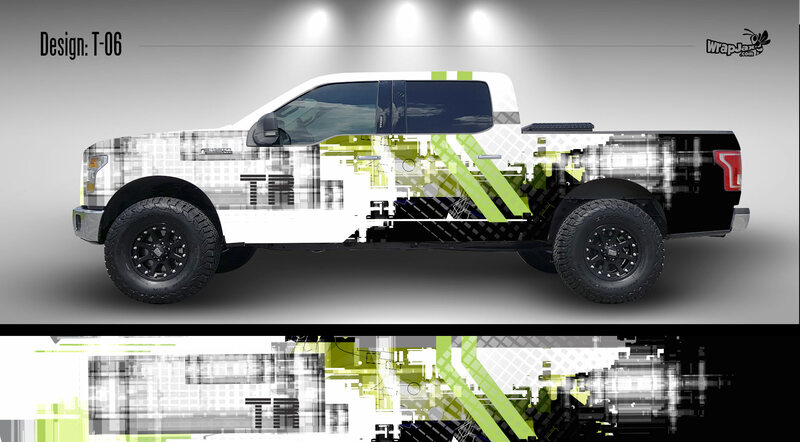 These designs are scalable to fit a variety of trucks ranging from standard cab and bed lengths through Extended & Quad Cab models. 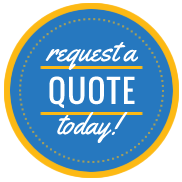 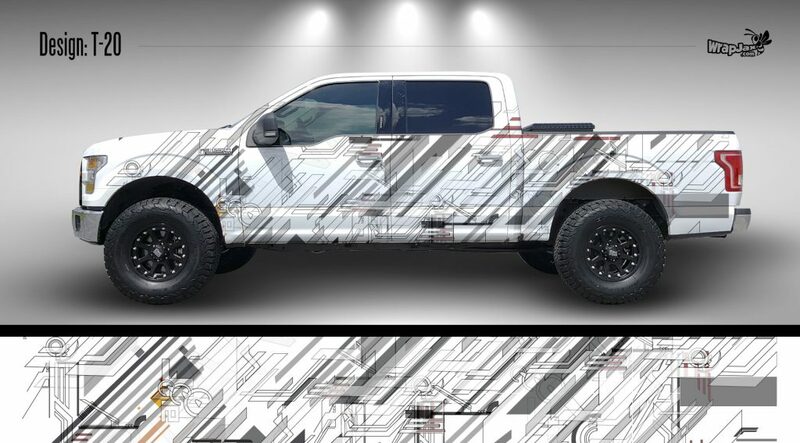 Our layouts allow you complete flexibility to change colors or edit elements that you may wish to resize or omit on your particular make & model of truck. 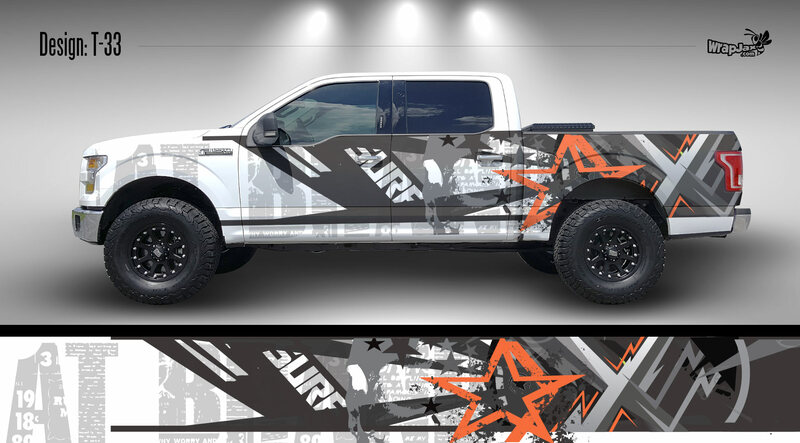 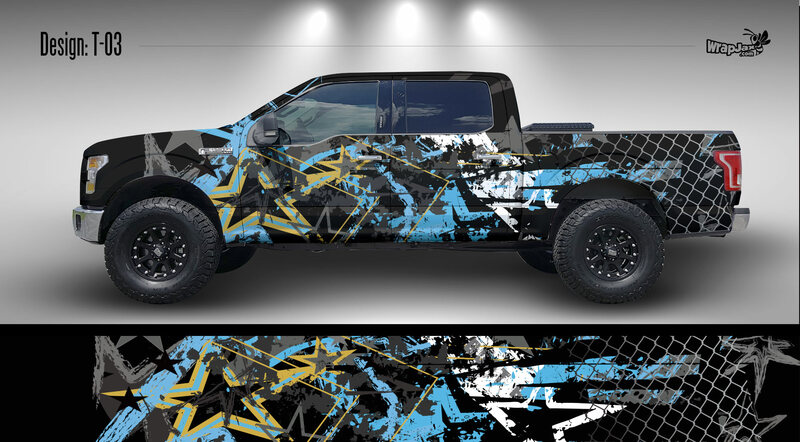 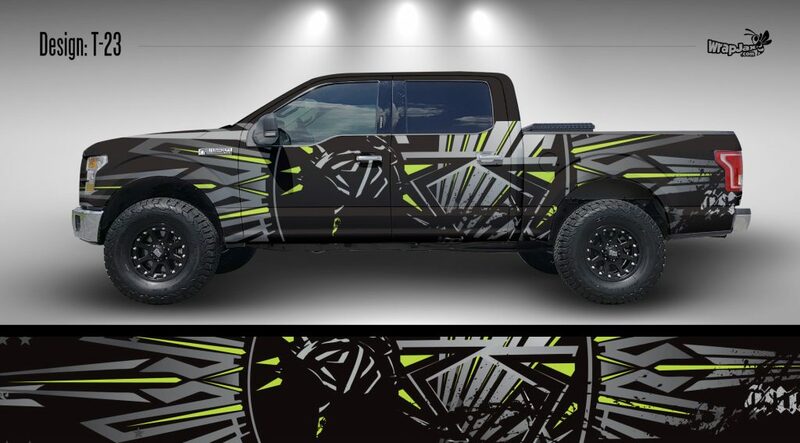 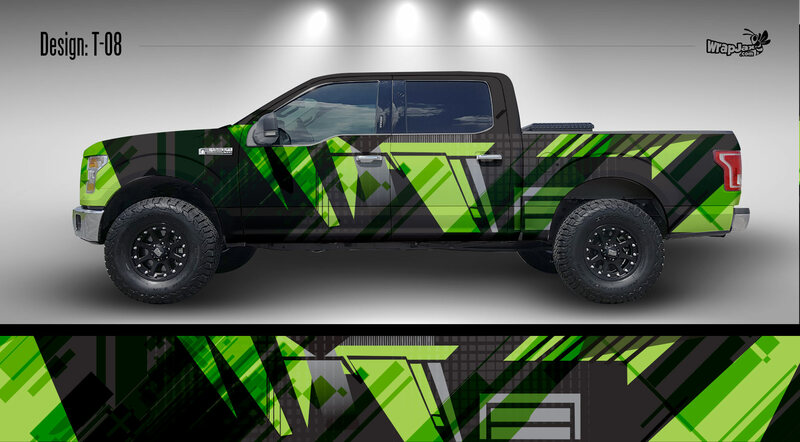 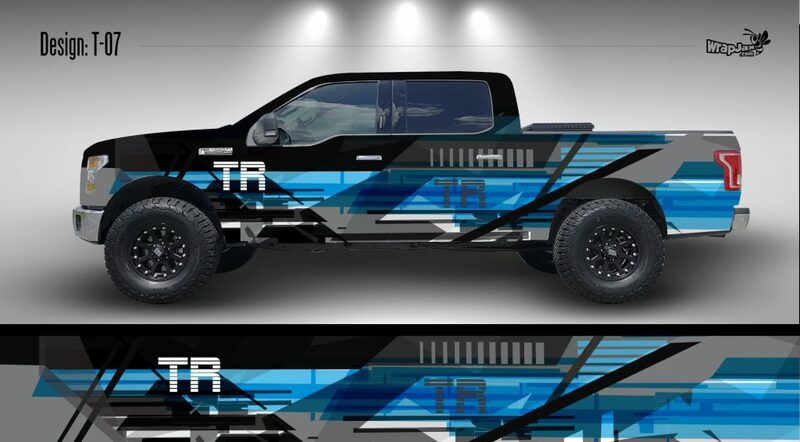 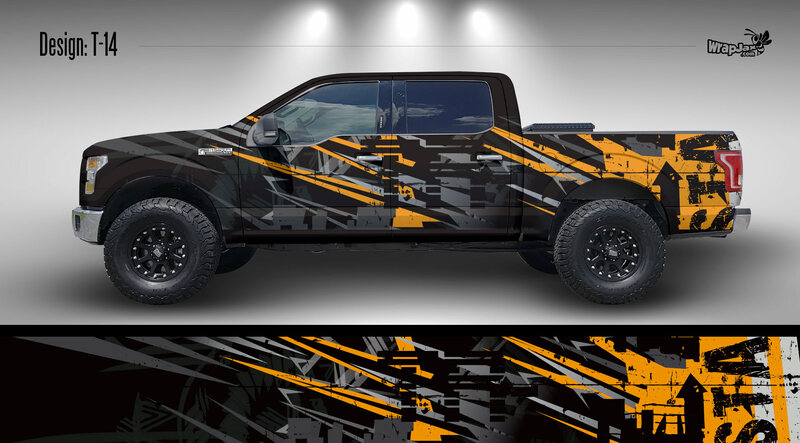 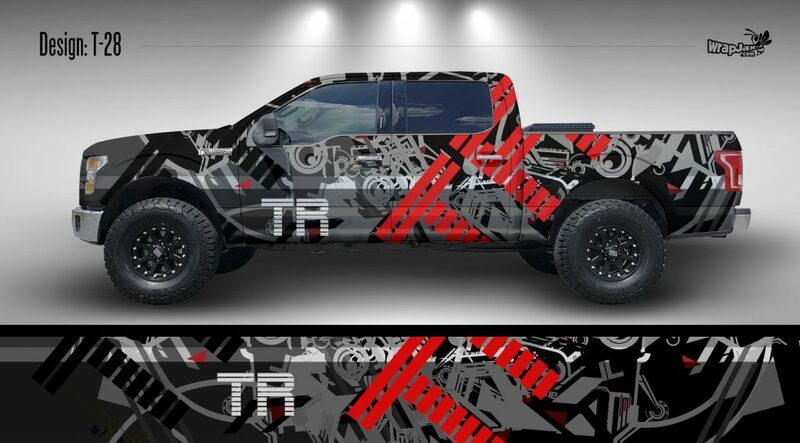 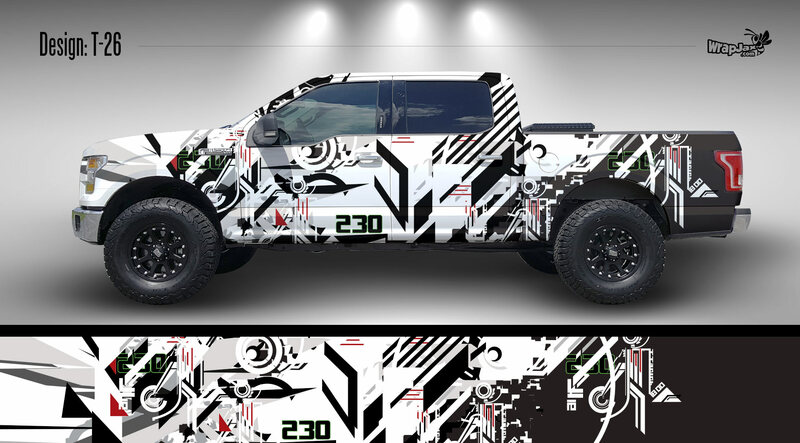 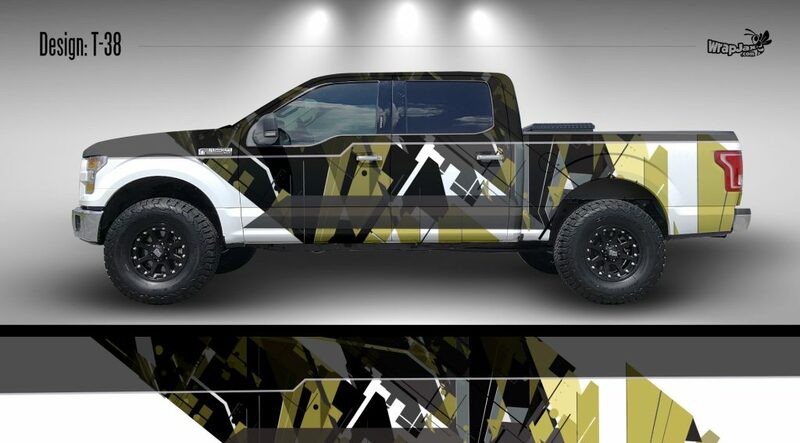 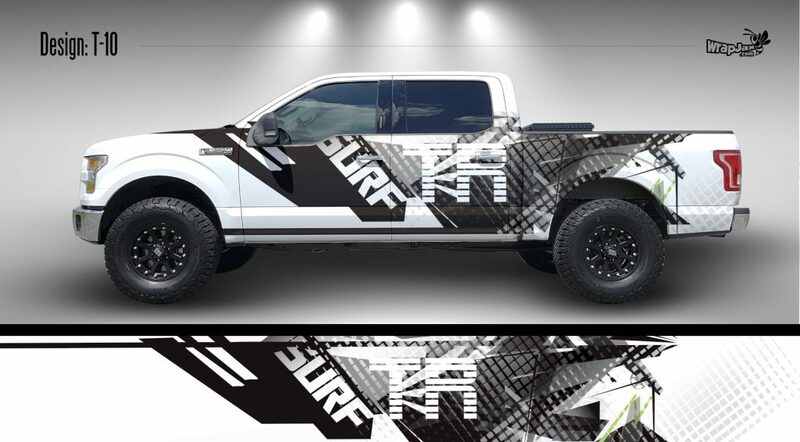 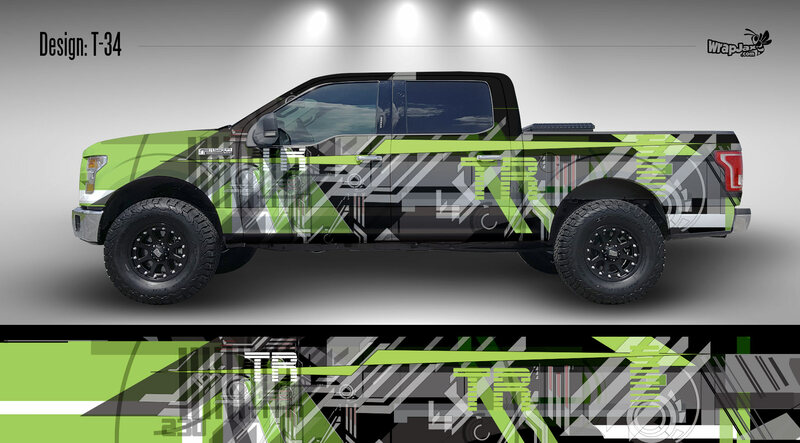 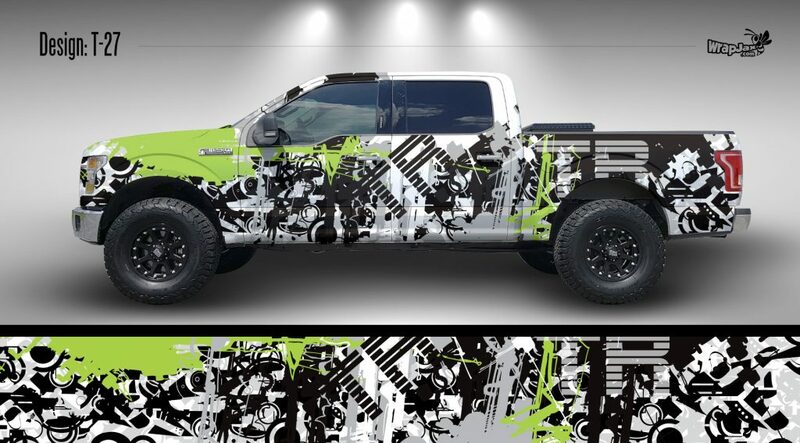 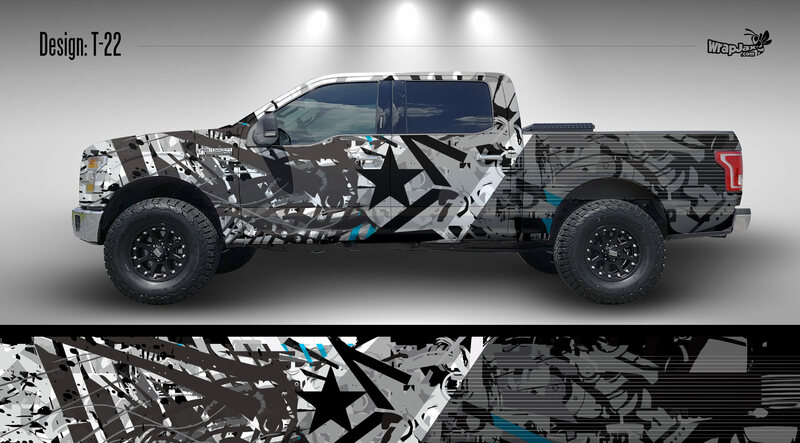 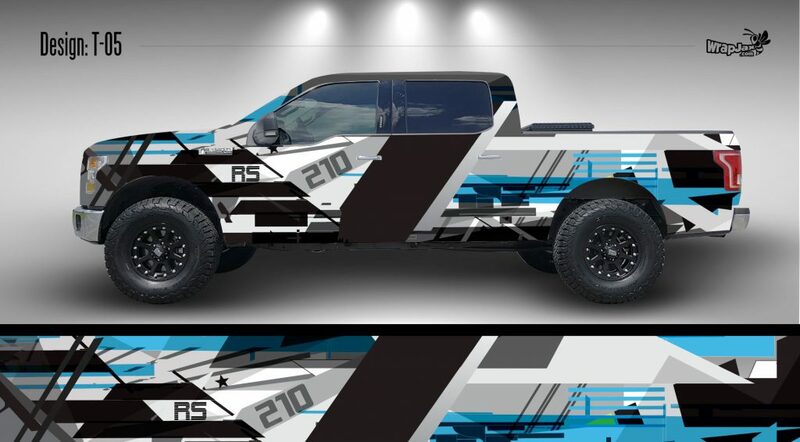 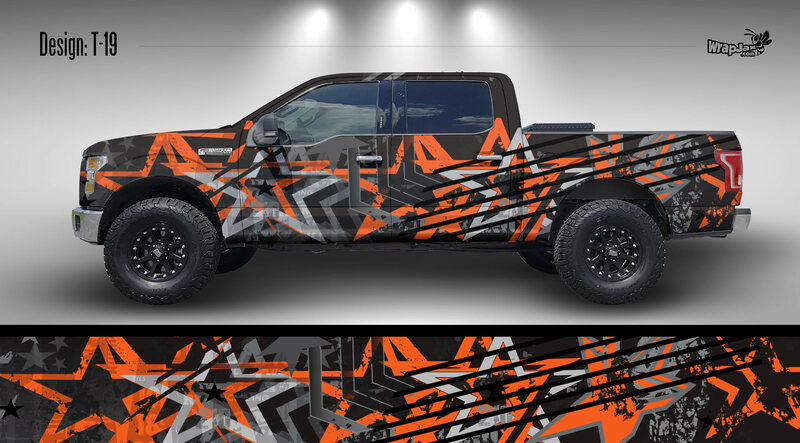 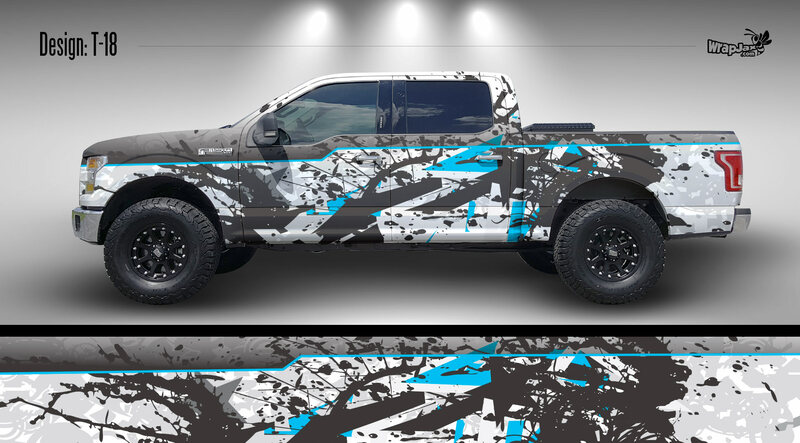 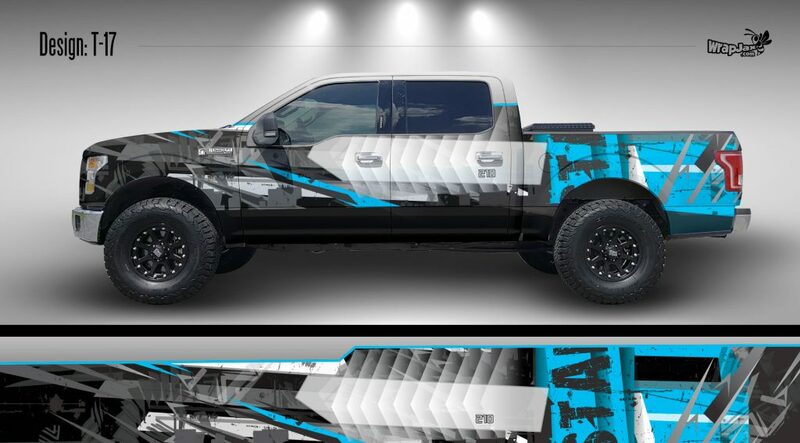 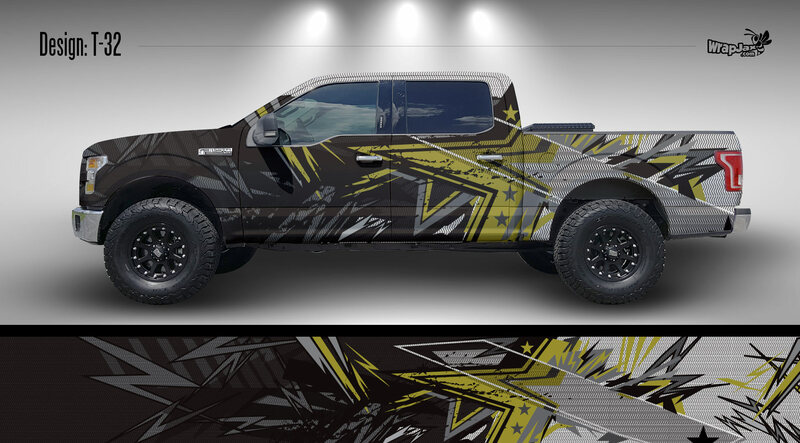 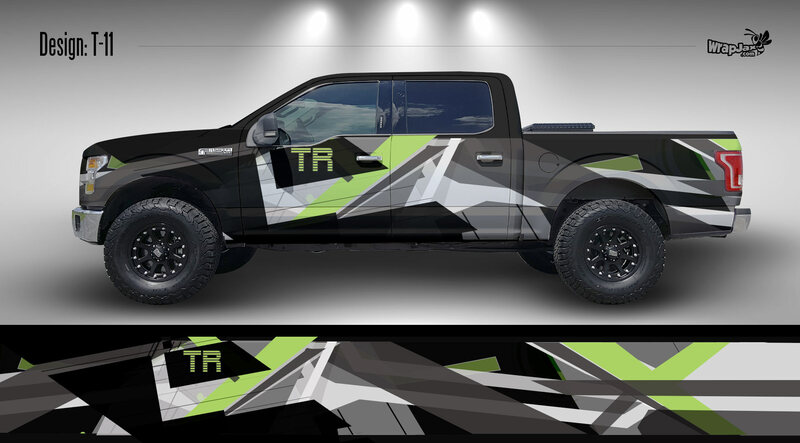 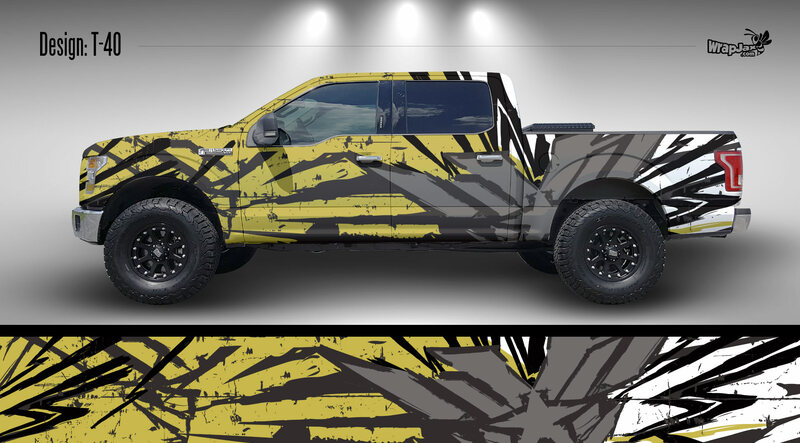 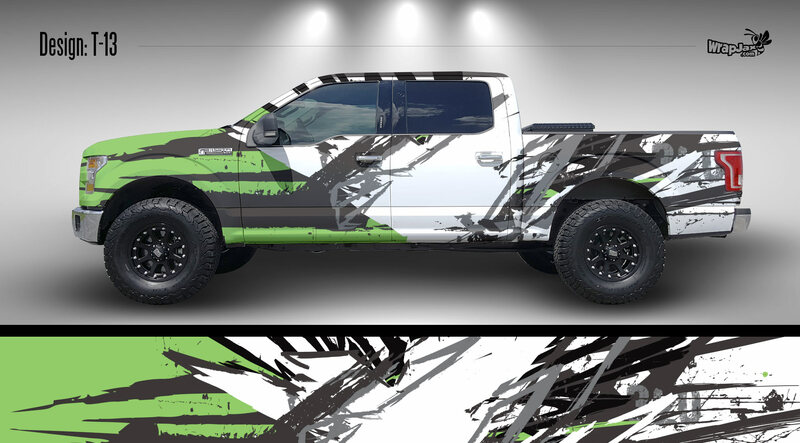 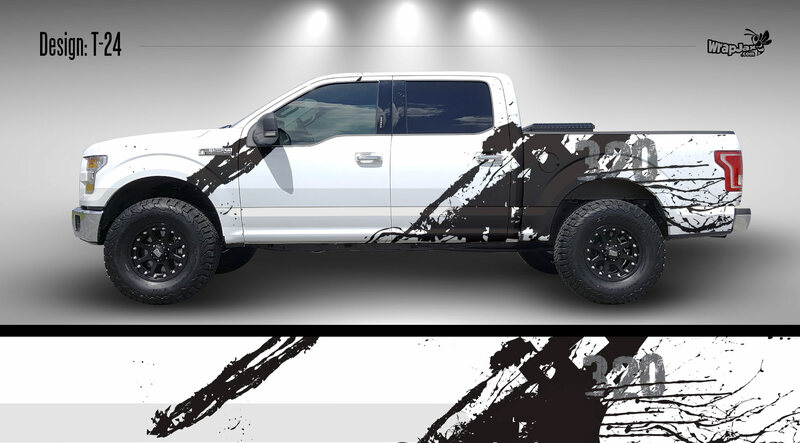 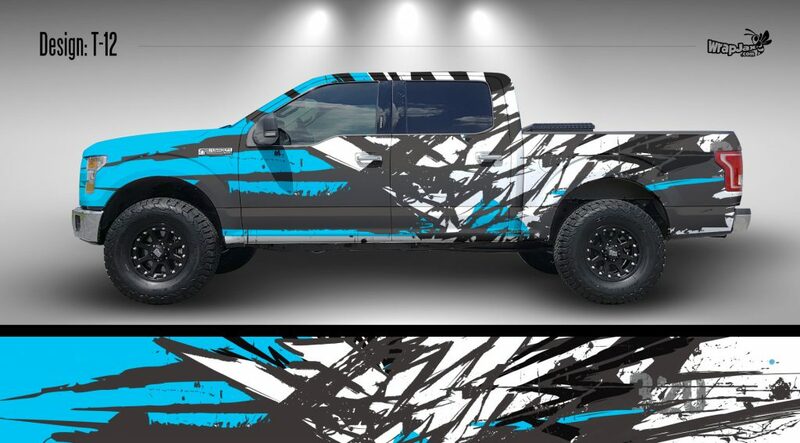 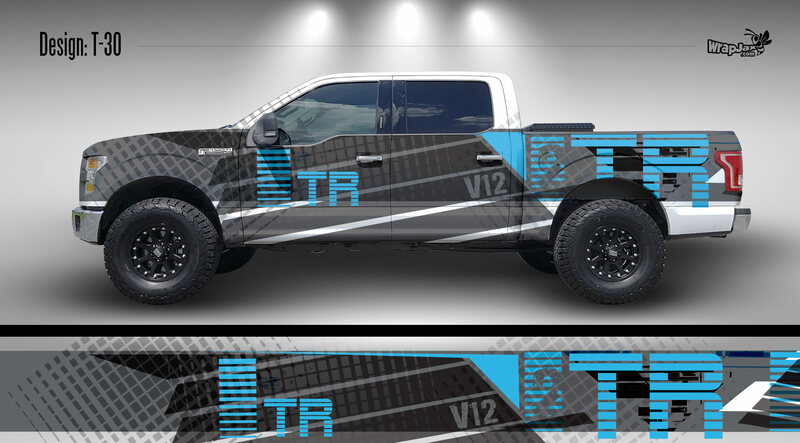 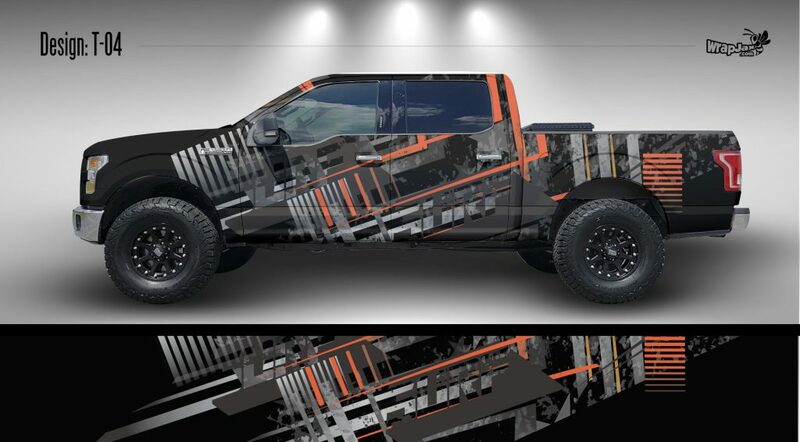 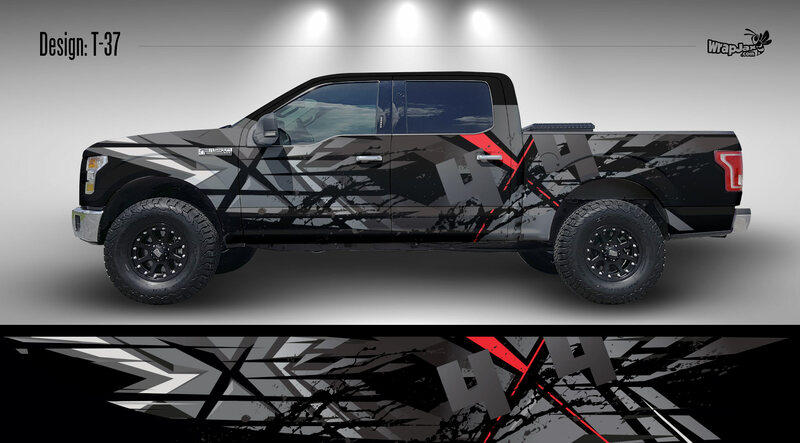 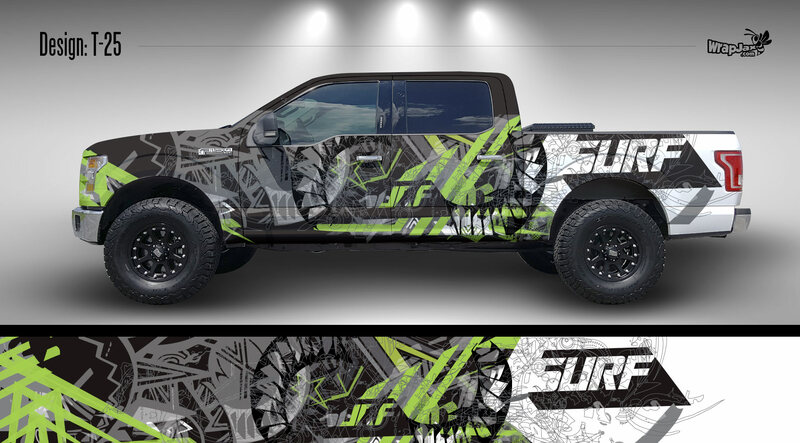 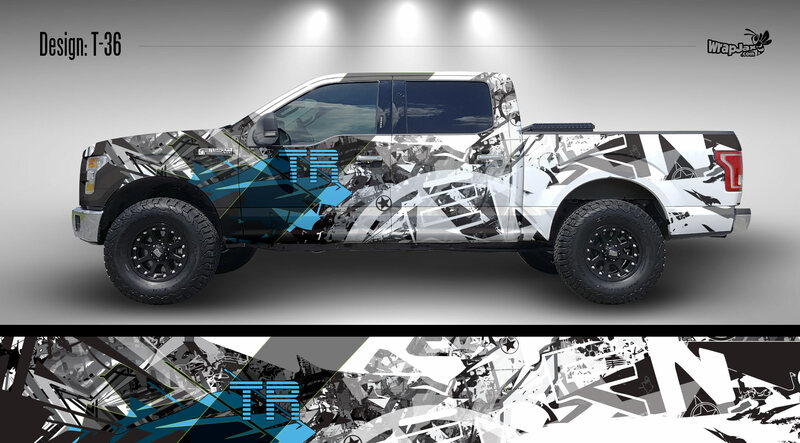 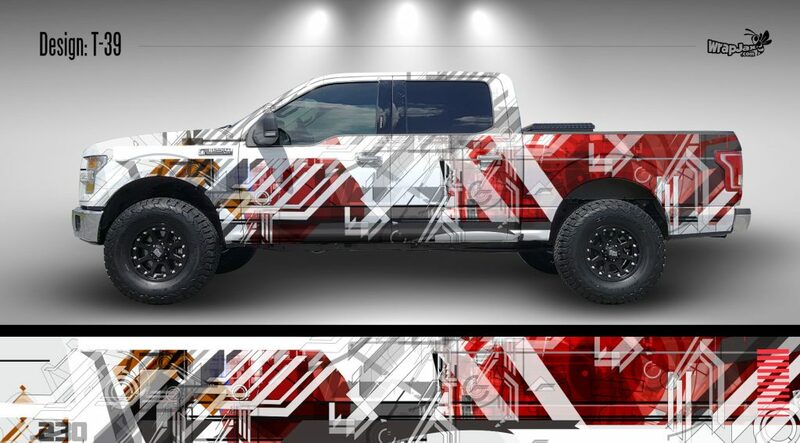 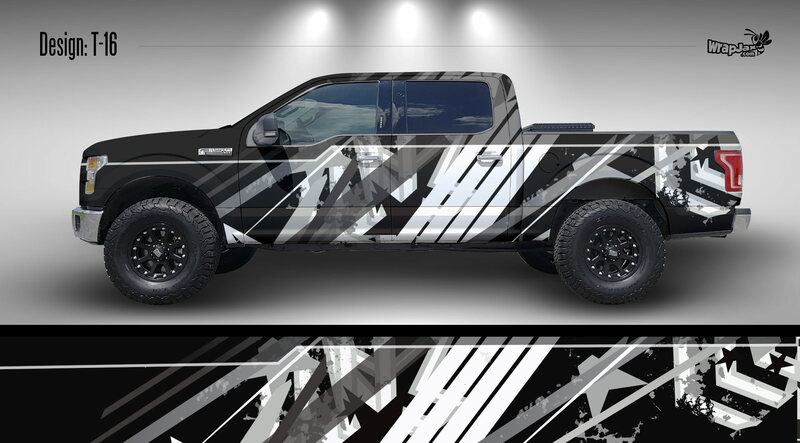 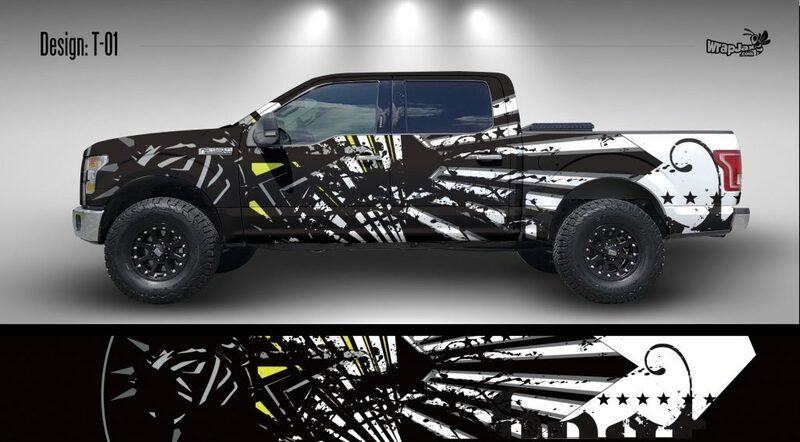 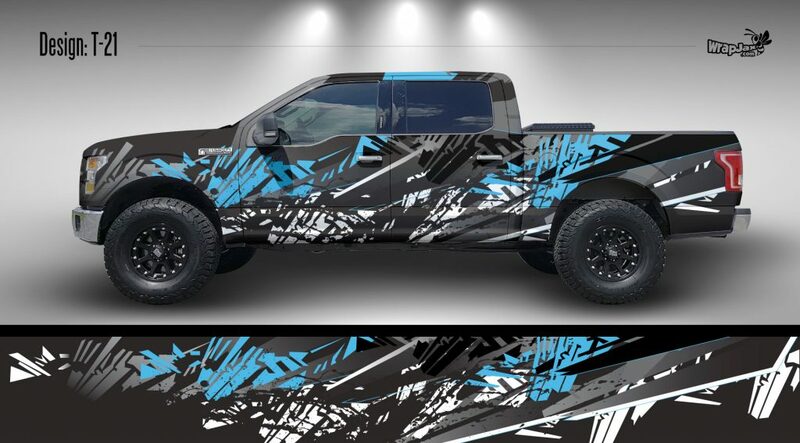 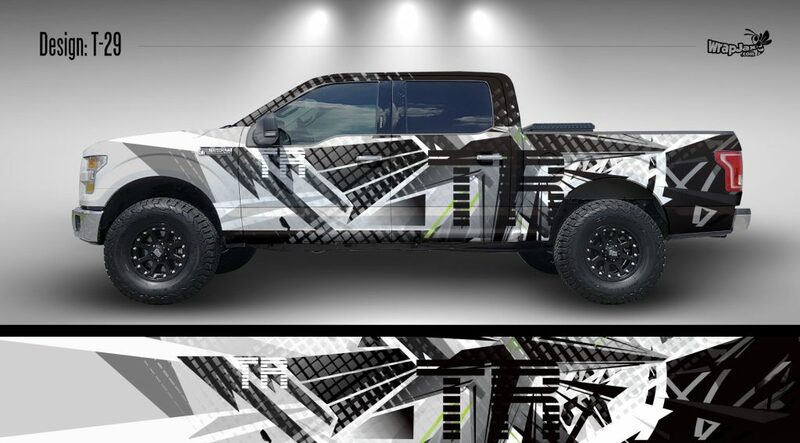 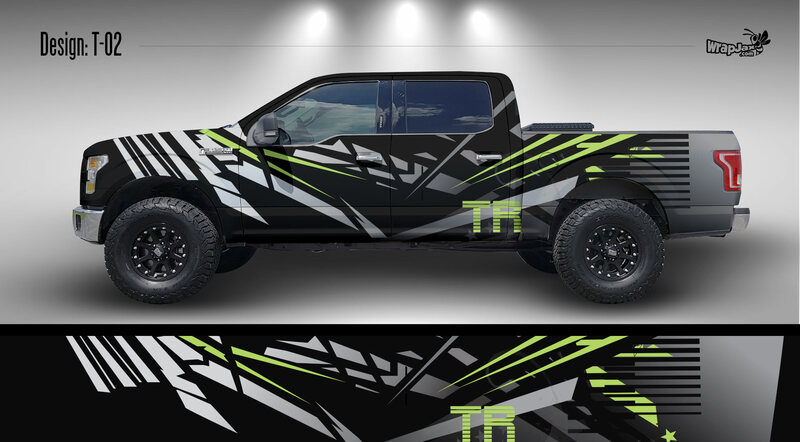 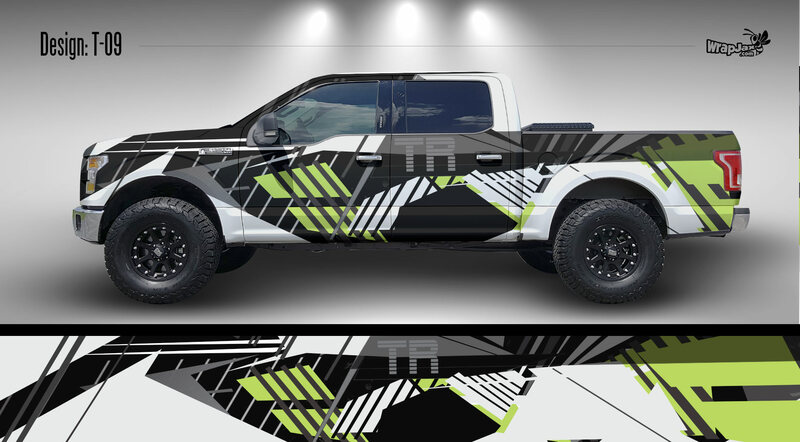 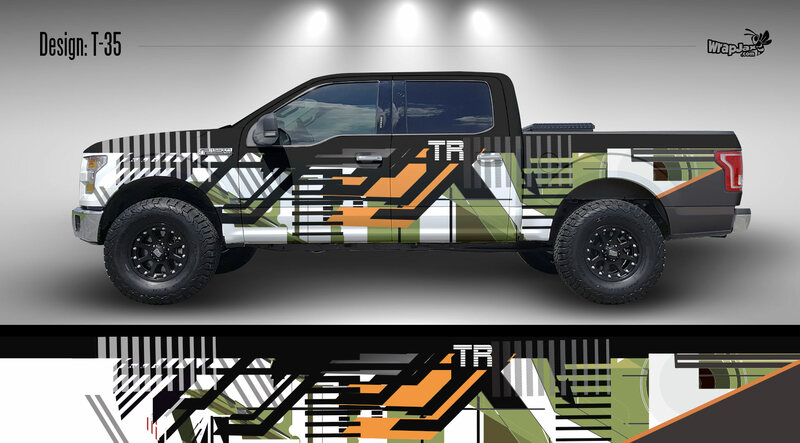 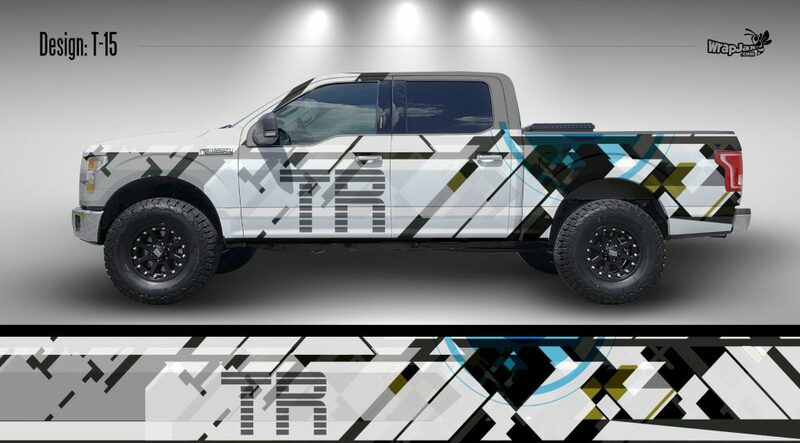 Since the design work has already been done, these stylish layouts are a cost effective approach to a custom designed “One Off” truck wrap but still allow for custom modifications to be made that enable us to make your WrapJax truck wrap entirely unique to your tastes.